Radio Popolare has been a specialist broadcaster of information and free and independent communication since 1976 and is considered by many to be a “Radio Leader” in Italy for information due to its political and editorial independence. It is run by CO-OPERATIVE DI RADIO POPOLARE. The co-operative is the major shareholder of ERREPI S.p.A. The company shares, in addition to the co-operatives’ are held by vast number (almost 15.000) of citizens. 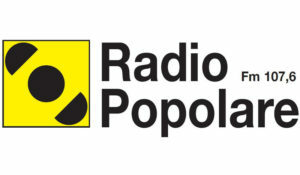 Radio Popolare sees its service function as offering a public interest communication, information and culture service of, choosing explicitly to represent in particular the interests of those (the majority of the population) who are obliged to suffer the mechanisms of the information process and have neither the means to affect or protect themselves from it. Radio Popolare has a large experience in realization and coordination of European Radio Campaign co-financed by EU. Radio Popolare broadcasts 24 hours a day (20 of which are live), 365 days a year. The headquarters of Radio Popolare are in the 1,600 square metres of the radio station itself. 46 people are employed at Radio Popolare including 36 professional journalists in addition to a large number of contributors. The broadcasts reach the whole of the Regione Lombardia plus a few areas to the south- west and east of the region. The weekly listener figures for 2016 as compiled by two independent nationally recognised organisations and published by EURISKO are around 420,000. Since 1992, Radio Popolare is the leader of a national network which is linked via satellite, 20 local radio broadcasters transmit the Radio Popolare news and a few topical programmes in their areas.